RESQ Charitable Trust - Lakhi makes her final journey! Lakhi, the 62 year old blind elephant, has finally started her journey to Wildlife SOS, Mathura. She is going to be in a lovely place and in very good hands. 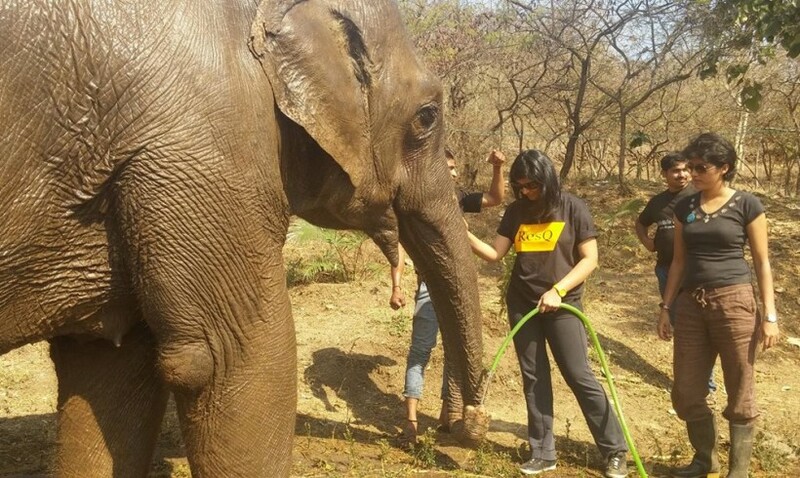 Lakhi was under the care of RESQ at Protecterra Ecological Foundation (Thank you Pooja Bhale!!) for the last 2 months. Her health markedly improved while she was with us. Pampered with love, fruits and vegetables she loved and over 200 kgs over sugarcane leaves every single day that she was with us! Besides thanking and being forever indebted to Wildlife SOS for taking on Lakhi for life….we would like to thank EVERY single person who donated, volunteered and prayed for Lakhi while she was in Pune. Let’s wish her luck for her journey!